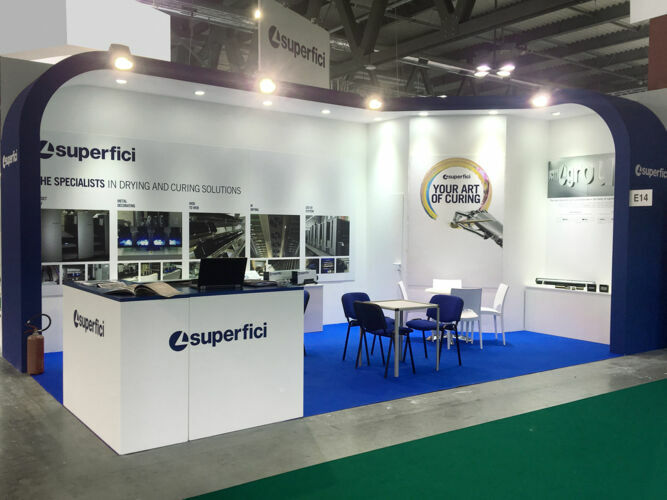 Superfici displayed its ink and paint drying systems. 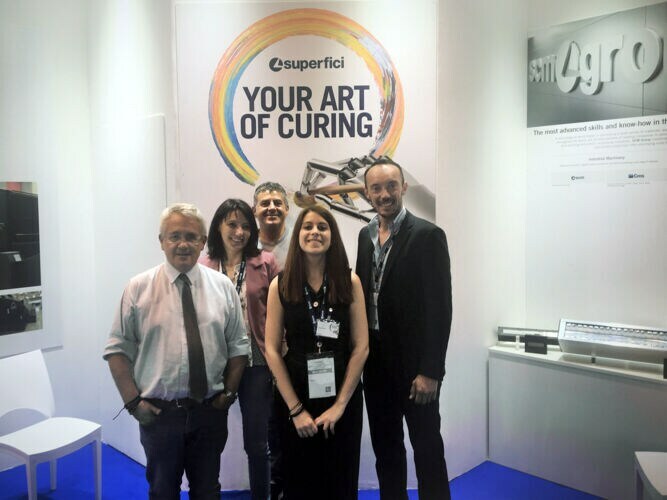 The main draws where the new LED UV curing systems, built by the expert hands of Superfici professionals working at the company Technology Centre. This new systems will revolutionise the graphic art market, saving time and energy, eliminating antisetoff powder and rendering prints brighter. In short, four intense days of meetings, discoveries, technology and innovation with the eyes always focused on the future of graphics.